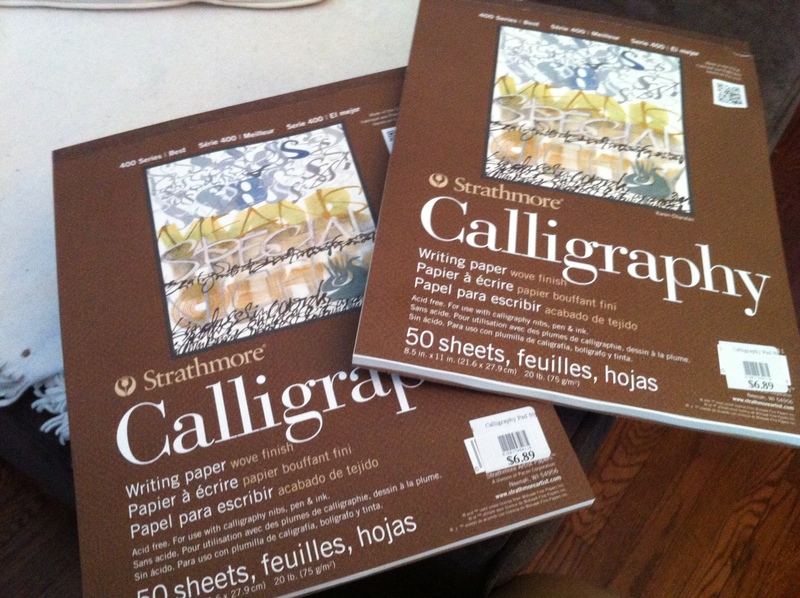 2013 March 8 Friday: today I bought two sets of Strathmore Calligraphy 20lb Writing paper each with 50 sheets with wove finish. 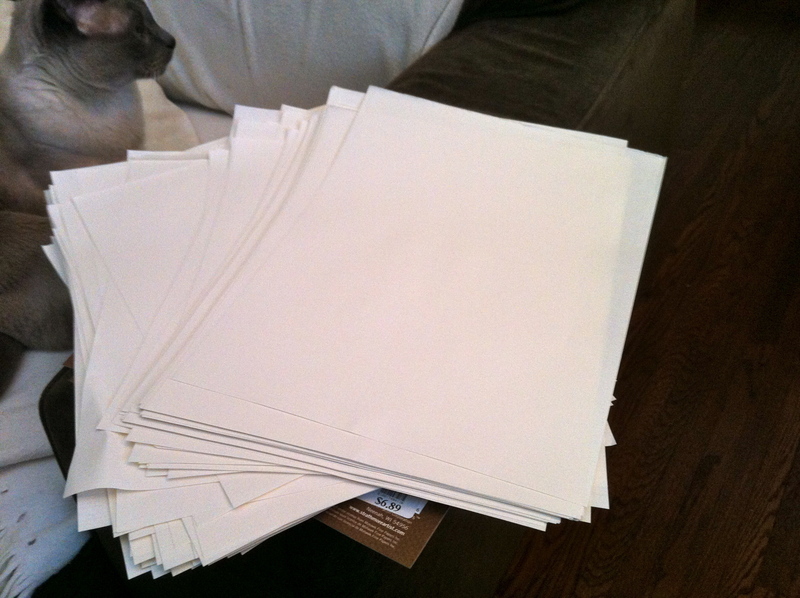 My intention is to carry these 100 pages in my hands for the next 100 days ending on June 16. I don’t know what will become of these pages over the next three and a half months (the length of a university term), but even in walking home from the store I could feel a dizzying array of ideas flood and insinuate their way into the project. Today is International Women’s Day, and I start this project four days after learning that I will become the father of a daughter (due in late July, no penalties for lateness). After the rush of that new knowledge, and the realization of her impending humanity, we began our quest for a name for this new she. Our first consensus happened with the name Callista which is Greek for ‘the beautiful’. It won’t be our last consensus and we are a long way from decided, but it is a compelling start. Calligraphy, literally the beautiful writing, begins in this anticipation of this beautiful life. The Ought Book, these blank pages are already filling up with my thoughts on what I ought to do, what kind of a father I ought to be to this girl, on who I ought to be, become in this process. Ought is a lovely word at the heart of this moment. It is an Old English verb that means to own, to possess, and to owe. I own this book, these pages, but they already possess me in their constant haunting presence. All I know of writing and the mysteries of the page I owe to beautiful writing, to the beautiful, and these blank pages open with the acknowledgment of that debt. It recalls Sheila Watson’s line, “A debt is a kind of bond” — a line stumbled upon by her character James Potter upon realizing that he too will become a father and that his responsibilities now possess him. He returns from his fears and accepts the opportunity of this emerging blood community, and his child is eventually named Felix, which is Latin for “happiness”. Is it worth noting that, in Greek, “kalli” or beauty is also synonymous with happiness?